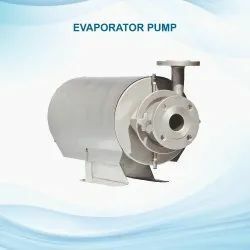 Specifically designed for evaporators, evaporation applications and other such applications where in needs to perform with low NPSHr and also when the working temperature of the fluid is higher, the Zeutech Evaporator Pumps yields optimum performance. 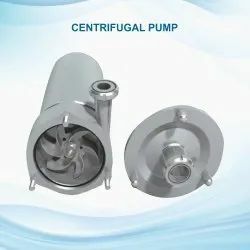 Zeutech Evaporator Pumps are an innovative, efficient, advanced and sophisticated centrifugal type mono-block pumps which are designed ideally for sanitary applications be it in dairies, food processing, pharmaceuticals, beverages, breweries etc. Zeutech offers a modern range of centrifugal pumps which is systematically aimed at the products and pumping tasks of users. Application: Dairies, beverages, sugar, confectioneries, evaporators, food processing, breweries, fruit-based drinks, chemicals, pharmaceuticals, biotechnology, cosmetics and personal care, chemicals, paper and cellulose, effluent treatment, water treatment plants and many other industries where sanitary applications are in place. Application: Dairies, beverages, food processing, breweries, fruit-based drinks, chemicals, pharmaceuticals, biotechnology, cosmetics and personal care, chemicals, paper and cellulose, effluent treatment, water treatment plants and many other industries where sanitary applications are in place. Zeutech range of centrifugal pumps have open impeller with streamlined flow path, non-choke-able and maintenance free design which makes our pump frontrunner in the contemporary competition. Every aspect of our process pumps like selection of use of suitable material for construction, rightly rated motors, etc. are taken in greatest care to provide the users optimum benefits like higher performance, lower power consumption, reduction of operation time, product safety, low operational running cost, minimum human intervention, error free operation, environmental savings etc.